Meryl Streep quoted her late friend Carrie Fisher: "Take your broken heart, make it into art." Circumstances may be what they are but we are not powerless to bring about the world we want to see, become the tribe we wish to be. Local comedian Sam Wingspan and Calder Johnson, artistic director of North Coast Repertory Theatre, are two such souls doing what they can. 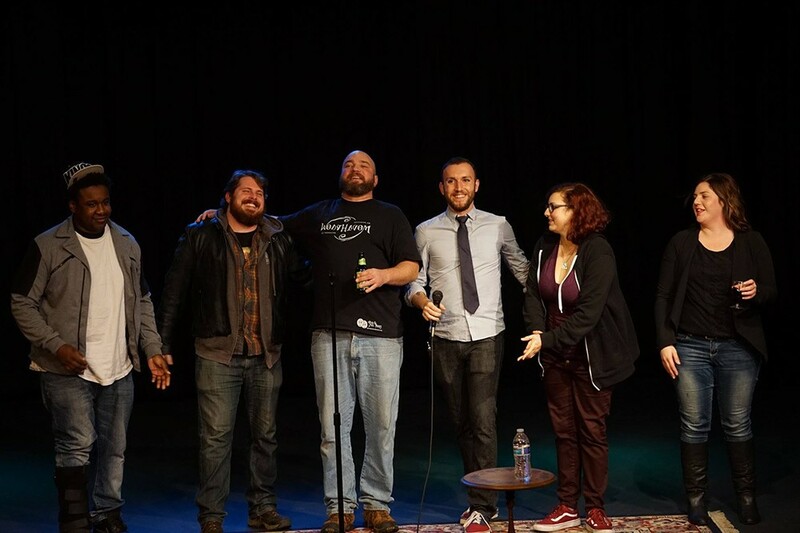 They have collaborated to bring Humboldt a monthly series of stand-up shows called "Comedy Comes Home," from which all proceeds are donated to the local charities and nonprofits that may be threatened by the Trump administration. The first show, Sunday, Jan. 22 at 9:30 p.m. at North Coast Repertory Theatre ($5-$10 donation), brings local comedians Sam Wingspan, Dutch Savage, James Stephen, John McClurg and Jessica Grant to the stage and benefits the Natural Resources Defense Council. "Comedy and shows are what I know I can do to raise money to help our amazing county," Wingspan says. "I hope through these shows to primarily entertain but also to inspire others to use whatever many varied talents they have at their disposal to enrich our world as well. If we all work toward our strengths and apply it to our surroundings, I know that we can all thrive together as one community." If the world is going to hell in a gilded, billion-dollar basket, we might as well laugh on our way down. Or put our talent and dollars to good use and rise up.